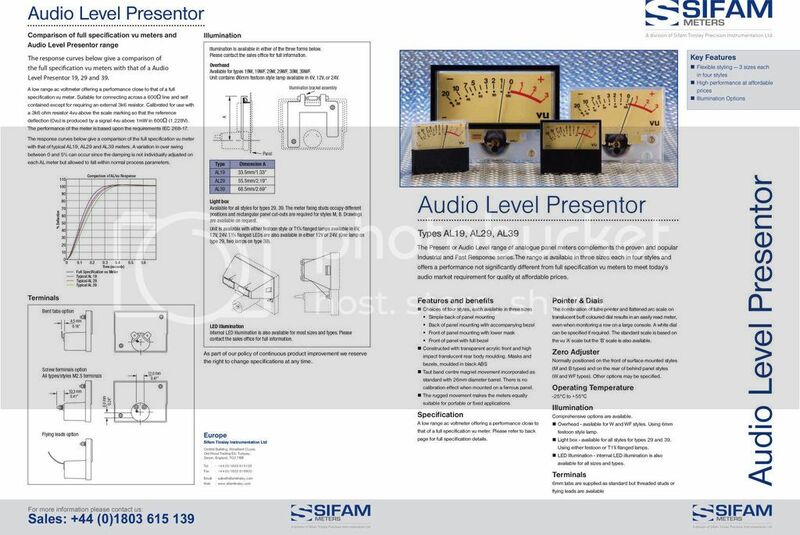 Graemed, the link at Linear Audio seems dead, I believe Carl will send you the BOM if not drop box link. Be aware than the main BOM is for one channel, check with the pcb to be sure one resistor is not missing. Some small errors on the power supply BOM about the connectors plugs for the wires if I remember. If you have purchased the PCBs and for some reason do not have the document collection needed to build, simply send me a private message and I will be sure to get those out to you. Incidentally I have 4 built and tested main PCBs that I assembled as first articles to verify the integrity of PCB orders. Those are available for purchase. Send me a private message if you are interested. I had a built v2 first article PCB that I wanted to put into an enclosure. I opted this time for a 'legacy look'. What do you think? I still have work to do inside the box and left the knobs 'lose' and as result they are all pointing off in crazy directions! Oh well, you get the idea. 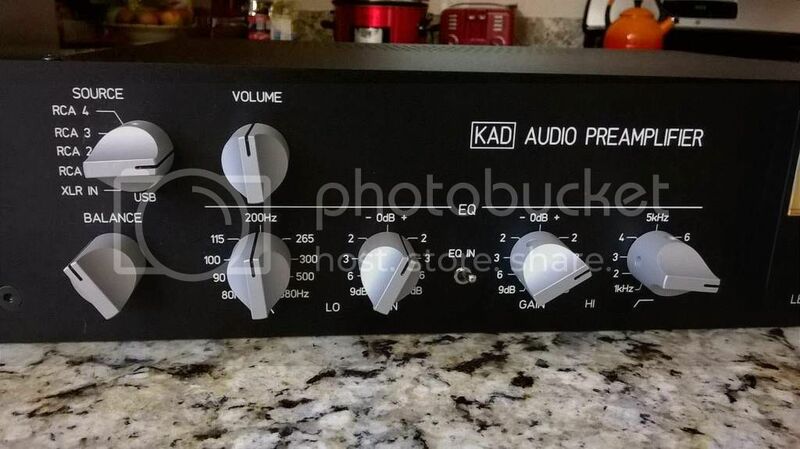 Hi Carl, well it looks amazingly like the Self Advanced Preamplifier of 1976 and which is still running underneath my desk! I think I would prefer to build your new version and donate my existing version to a son-in-law, who seems keen to try it out. Is there any matching documentation on meter circuitry, etc? 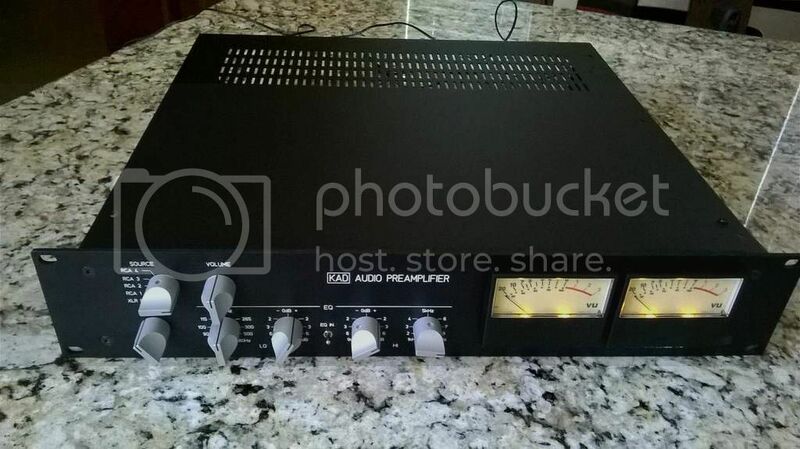 Those meters are Sifam AL29B Presenters. I happened to have them in my stash. I expect that I bought them some time ago for some long forgotten project. Modutec makes a similar product. Both show up regularly on EBay and can be bought thru dealers as well. They are both good products. 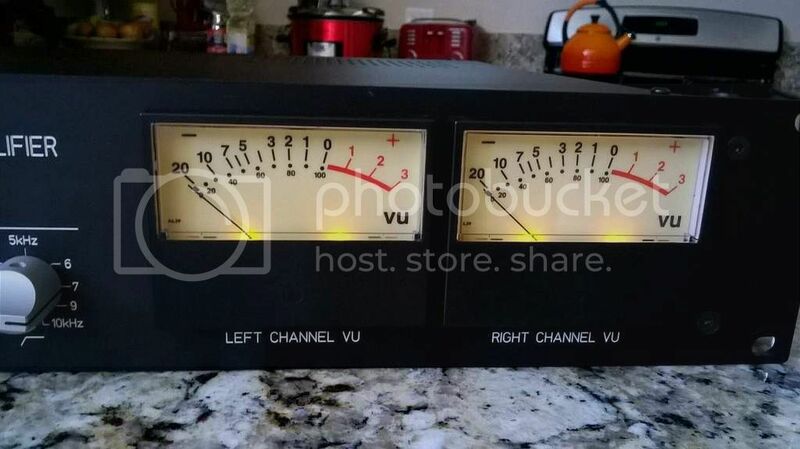 The VU meter driver is again something from my stash. What I have and will probably use in the finished build is a TEKRAM VU driver board off of EBay. In my initial testing I took the audio signal from the IO board. My intent was to use the bouncing meters for entertainment rather than critical measurement. I haven't written up anything special describing the circuit as it's not that complicated. However if enough people have an interest I could do that. Last edited by Carl_Huff; 14th May 2017 at 06:29 PM. 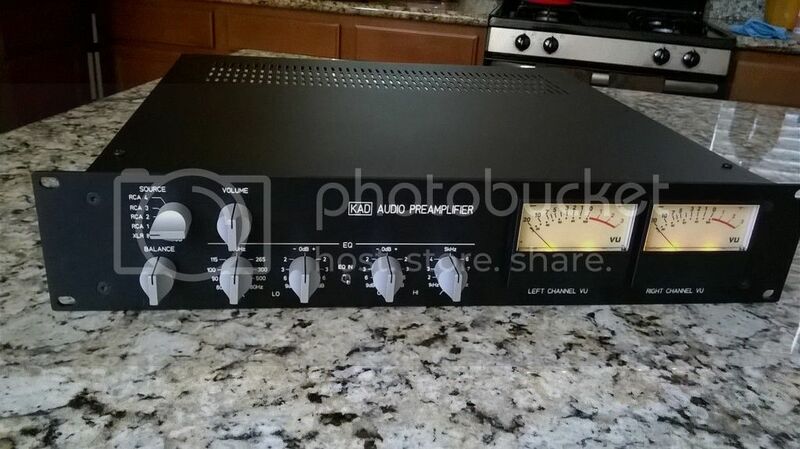 I guess it would be ironic if I salvaged the meters and drivers from the 1976 Self preamp? But yours look nicer so I shall go that way. It is really nice to see a front panel with non-touch controls....simple, maintainable and readable. Of course, as ever, the real challenge will be the front panel. How did you get the white scripting ...which looks very nice? Here's a thought...for flexibility of front panels perhaps all of the pots should be mounted on a separate board, connected via flat cable to the mother board. The pots could not change relative to each other but as a group they would be easy to move around. Just a thought. My wife gave me grief for posting those PICs with the 'crazy knobs'. 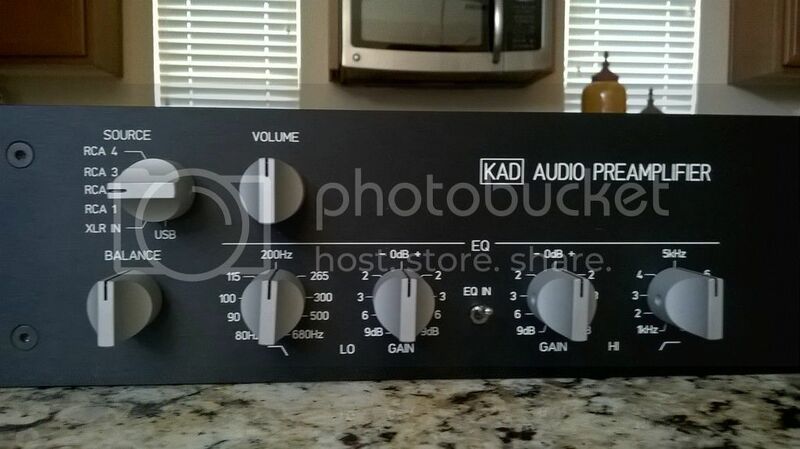 So here are a few more but with the knobs tightened down. Yea she's right, they do look better.